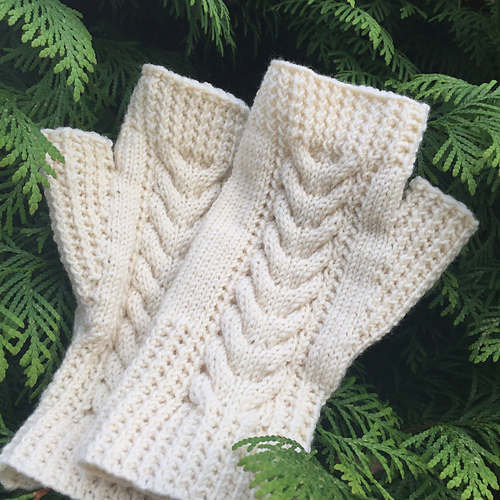 These long and elegant cabled fingerless mitts are a wonderful addition to your wardrobe and they make the perfect gift. This is a fun and engaging knit with stylish results. This pattern is a companion to The Wayfarer Hat. 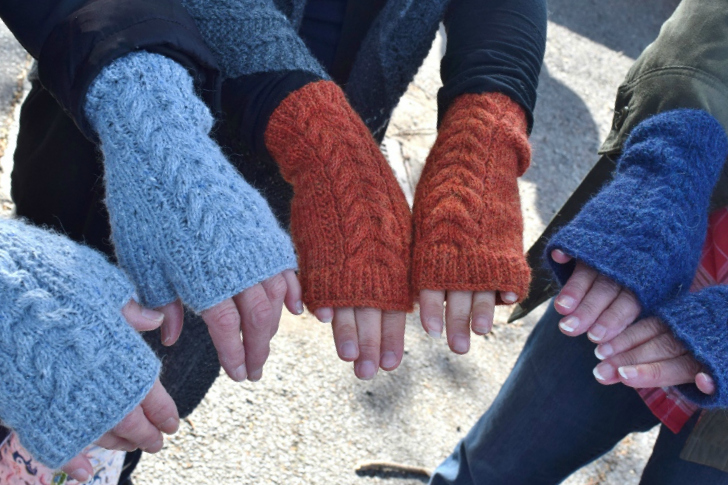 Designed with extra stitches near the thumb gusset to better center the motif down the back of the hand. In addition to written instructions, charts are provided for each size and thumb gusset.